Whether you’re jetting off to Europe or the tropics this summer, there’s the all important job of streamlining your wardrobe, so that when you arrive you can relax and enjoy your holiday, looking stylishly on-point all day, every day. That’s where double-duty pieces come in. With versatile styling options, they’re key for any summer trip. This season, you’ll find everything from chic cover-ups to hard-working hero pieces that’ll leave you wondering how your holiday wardrobe functioned without them. Summer 16 is all about the one-piece and zip-up scuba styles are a big hitter in the fashion stakes. Olivia Palmero and Kylie Jenner have both been spotted on the beach in the entire fash pack is drooling over Lisa Marie Fernandez’s new season swimwear for its modern take on the classic Bond-girl silhouette. Wear solo with sunnies, or under denim shorts and flat leather slides. 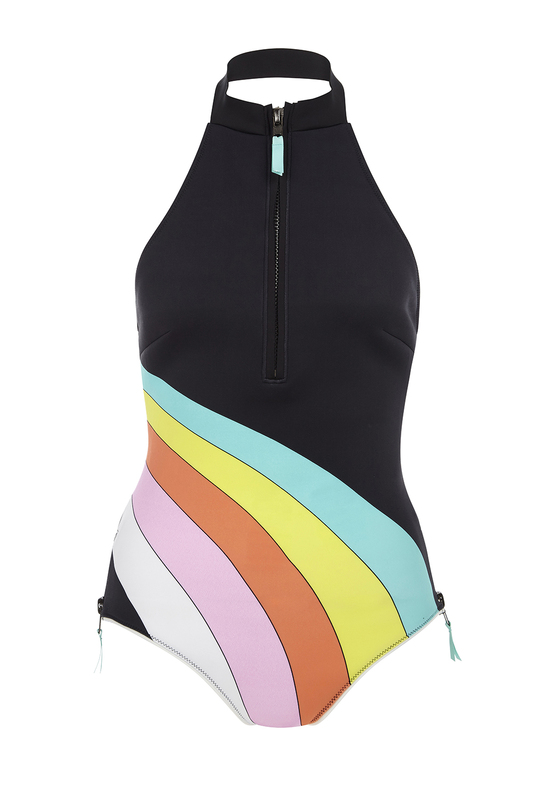 We’re favouring this River Island limited edition rainbow print swimsuit. A crisp white shirt is a perennial fashion favourite and this season long-line dress styles should be your day-to-night hero piece. 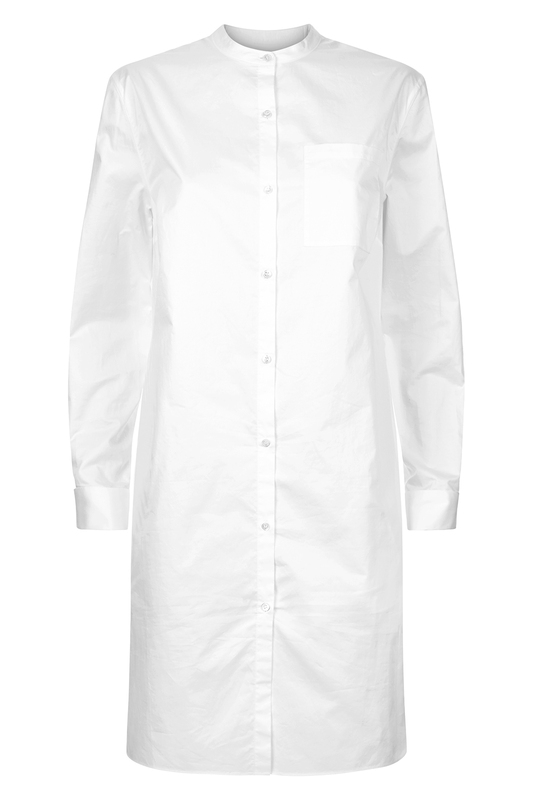 Throw this 100% cotton mandarin-style collar Jaeger shirt dress over your slinky swimwear for a cool cover-up with a wide-brimmed hat and sporty sandals, or buttoned-up at night with pointed flats, a punchy lip shade and gold hoops. If, like us, you’re lusting for more Japanese-inspired summer staples to add to your wardrobe, you’ll be pleased to hear there are beautiful kimono-style cover-ups to take away on holiday. Invest in neutral tones and stick to fabrics that have some structure, so that they belt perfectly at the waist and sit flat on the neckline – this will prove easier to wear and create the ultimate silhouette. 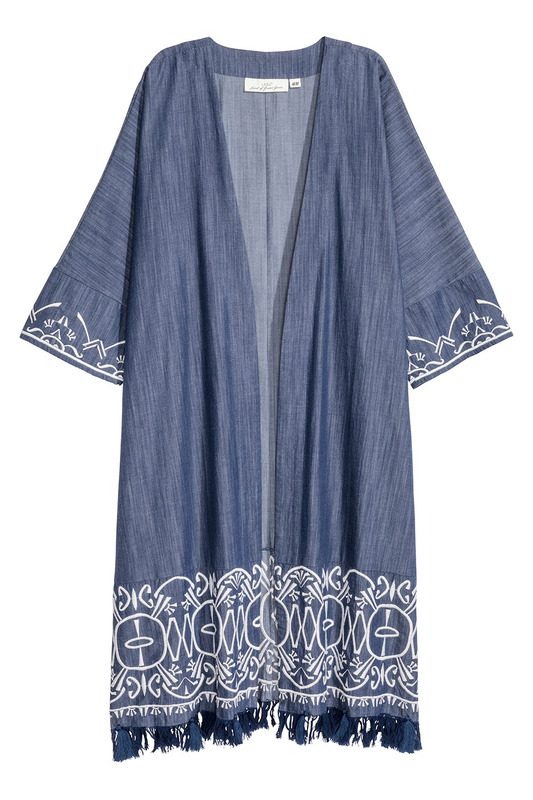 Slip a pretty dark denim embroidered kimono like this H&M hit over your swimwear for a low-key lunch or use it to dress up a plain jersey dress for evening cocktails – just add canary yellow suede mules for a surprise pop of colour. Keep your travel wardrobe fresh by washing it with the new Limited Collection for Bold & Lenor by top designer Giles Deacon. Its gorgeous scents are released as you move – choose from the edgy florals of Diamond & Lotus Flower, Ocean Escape, Peony & Cherry Blossom or Amethyst & Floral Bouquet. The Giles Deacon for Bold & Lenor Limited Edition Collection is available nationwide. Prices may vary and items are subject to availability due to summer sales.